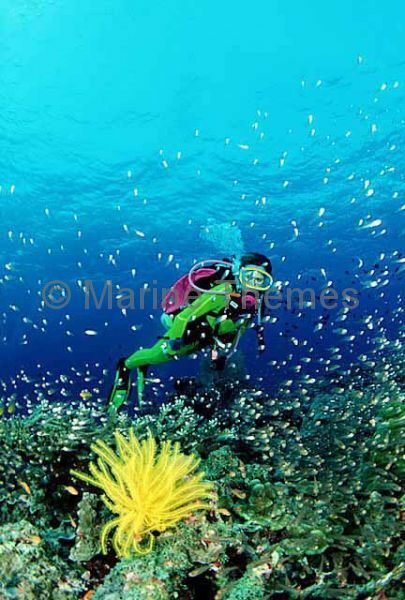 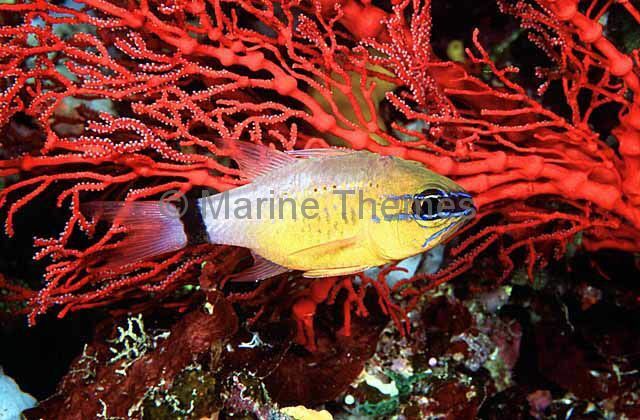 Yellow-striped Cardinalfish (Apogon cyanosoma) hovering in front of pink sea fan. 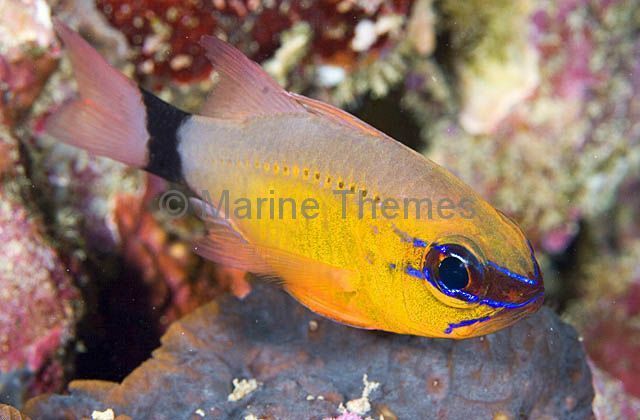 Tiger Cardinalfish (Cheilodipterus macrodon) Male holding eggs in mouth. 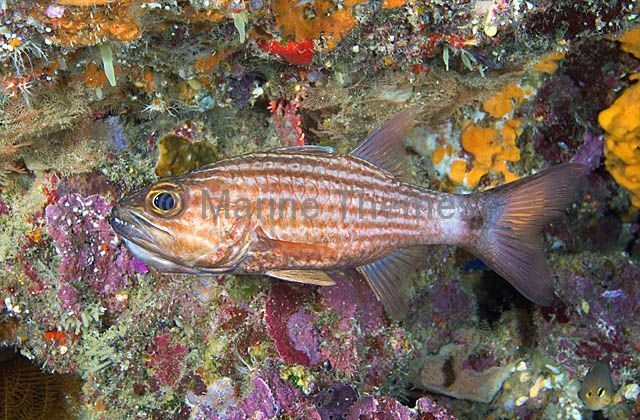 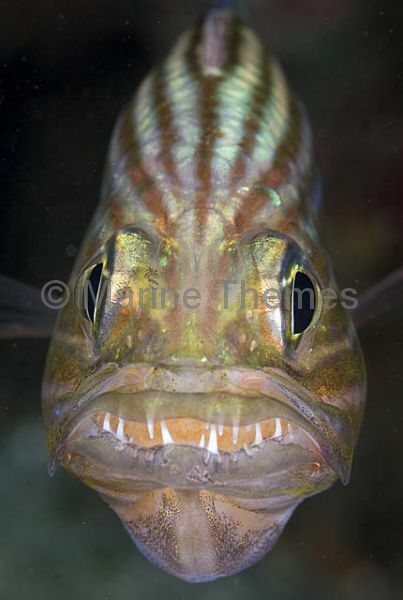 Tiger Cardinalfish (Cheilodipterus macrodon) in deep reef ledge with slightly expanded throat while mouth brooding eggs. 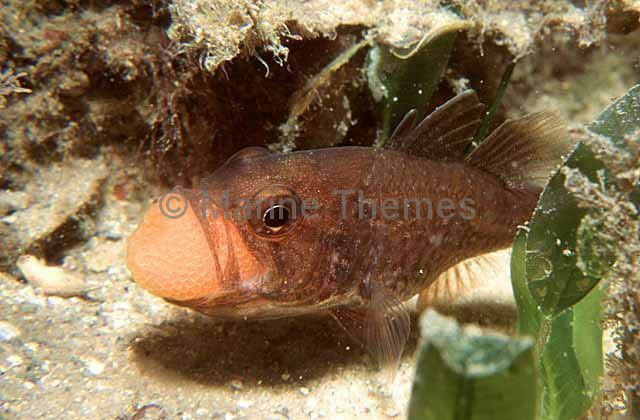 Tiger Cardinalfish (Cheilodipterus macrodon) holding egg mass in it's mouth. 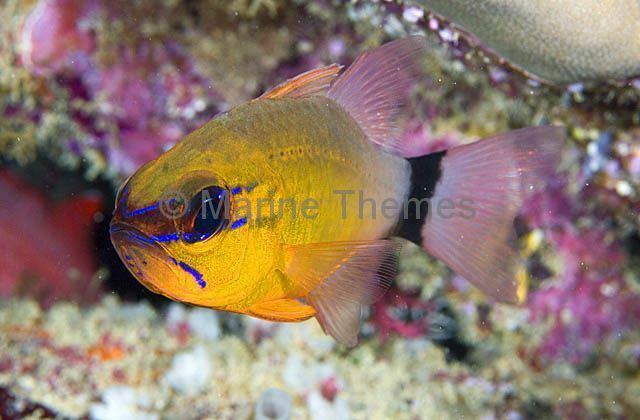 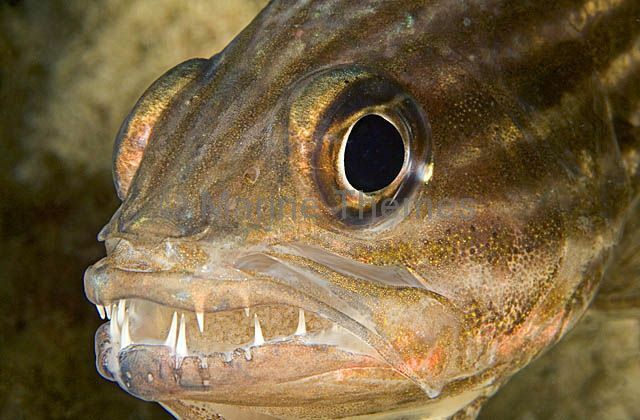 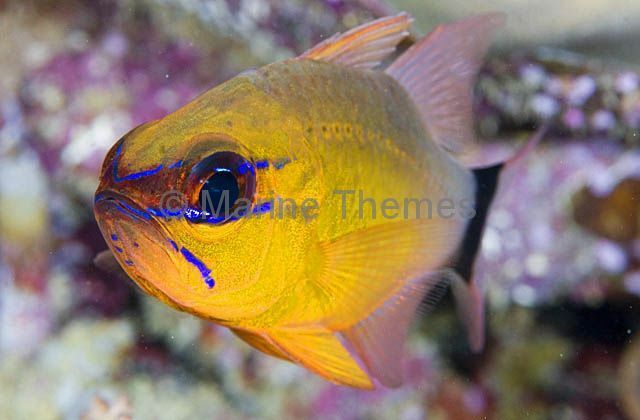 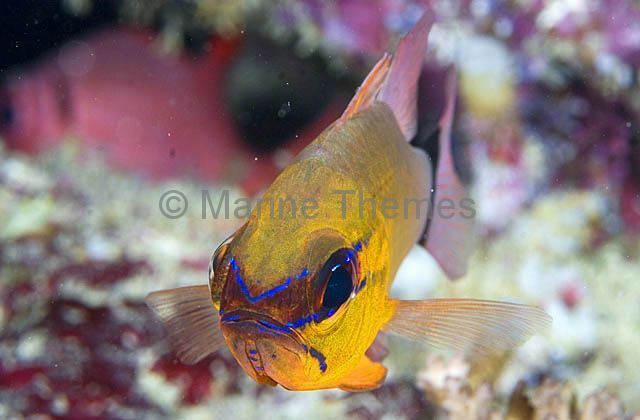 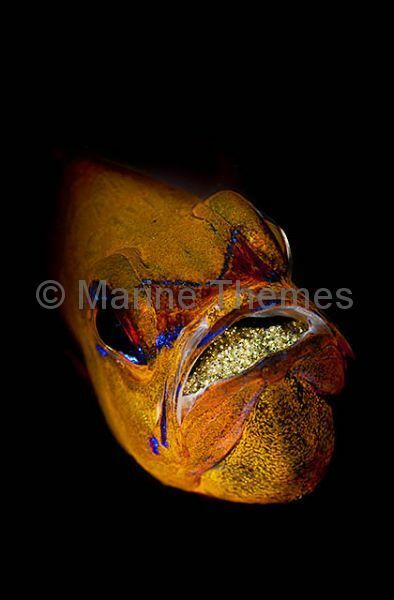 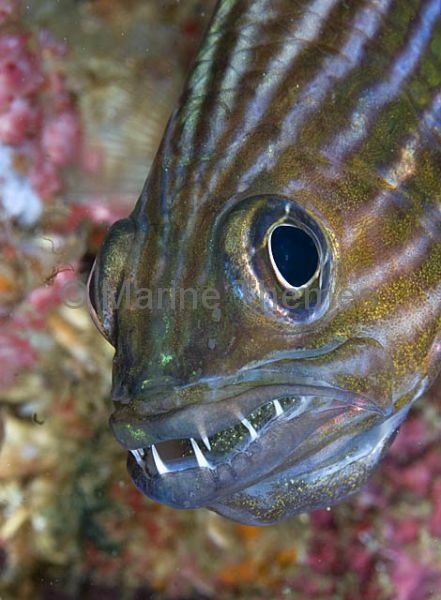 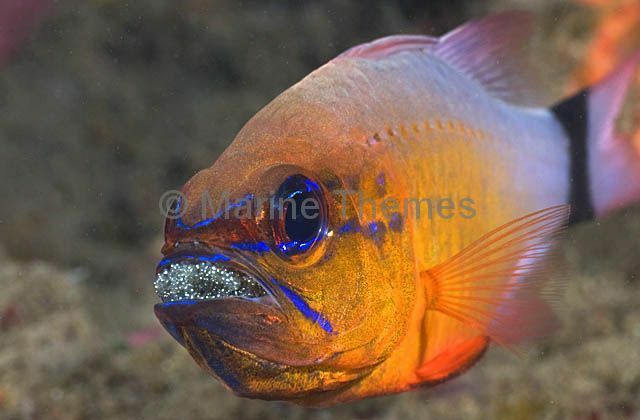 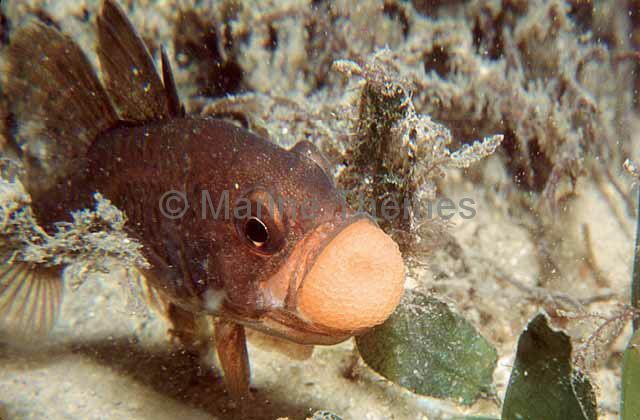 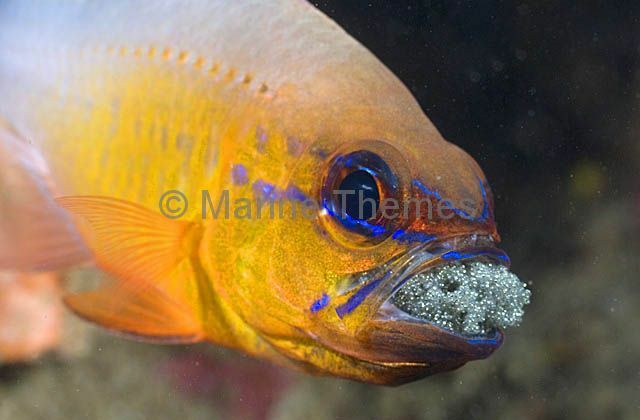 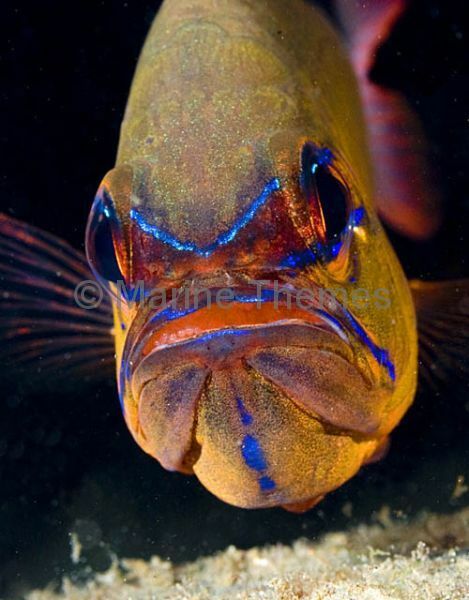 Ring-tailed Cardinalfish (Apogon aureus) mouth brooding, holding egg mass in it's mouth. 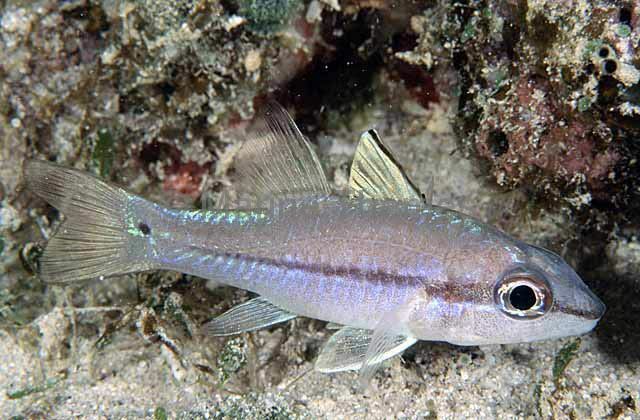 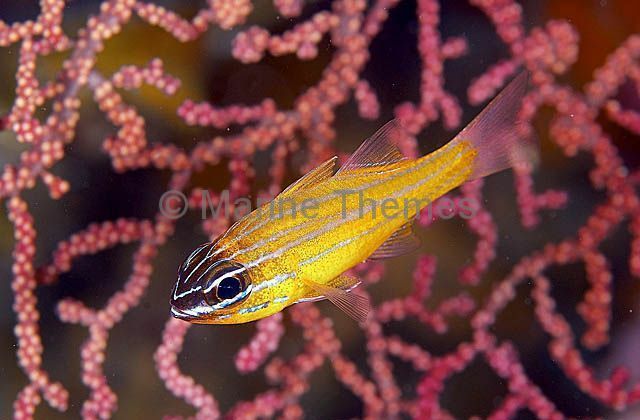 Eastern Gobbleguts Cardinalfish (Vincentia novahollandiae) with eggs brooding in mouth. 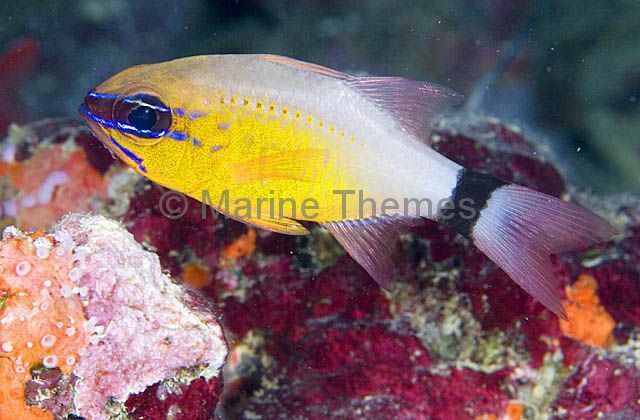 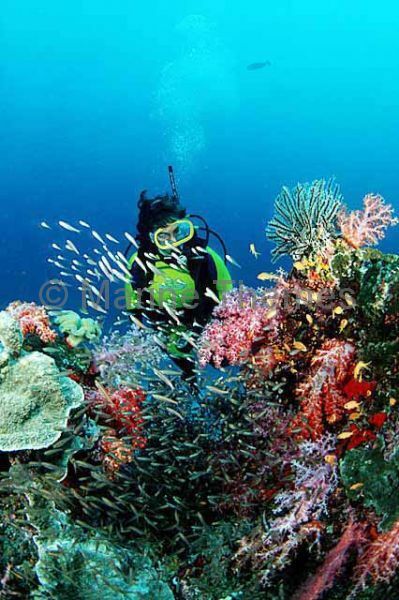 Swallowtail Cardinalfish (Rhabdamia cypselura) over coral reef.